A Fei Kitchen serves Taiwanese/Chinese style cuisine in a 'healthier' fashion. A simple family friendly seating establishment, there are now two locations in Taipei county. The Taipei location is the recent opening and is found a short walk from Zhongshan Junior High School MRT station. The interior is nothing special, more along the line of an average Taiwanese restaurant. 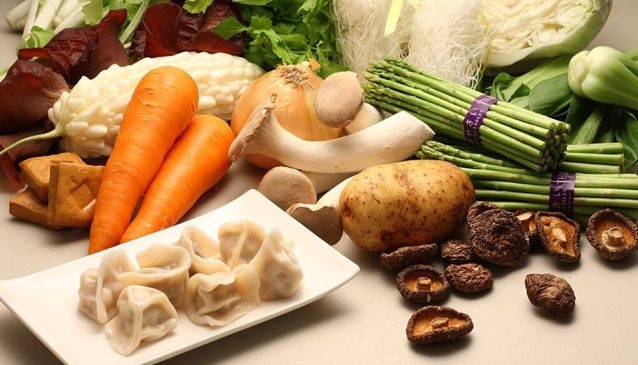 The menu lists fresh ingredients to provide healthy Taiwanese fare: a wide variety of dumplings, noodle and wonton soups, even thin slice meats and pork knuckle. The ingredients are not fully what is expected (squid and basil, for example) for Taiwanese food but it is no less tasteful. The prices are very affordable for an individual so a group can order plenty to make a feast. A Fei is the ideal spot for a healthy Taiwanese meal for the whole family.